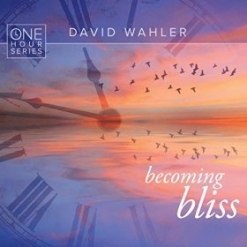 David Wahler is truly a master of a creating beautiful music for relaxation, meditation, and the healing arts, and his latest, Becoming Bliss, is no exception. Becoming Bliss is the first in Wahler’s new “One Hour Series,” a series of precisely-timed recordings that will allow the listener to take a one-hour break from the hectic pace of life. With Becoming Bliss, “the listener is guided through ever-deepening states of meditative bliss, then back to ever-expanding consciousness” (quoted from the liner notes). The seven tracks range from seven to ten and a half minutes, so all of the music is very leisurely and has plenty of time to envelop the listener in soothing sounds as it evolves. 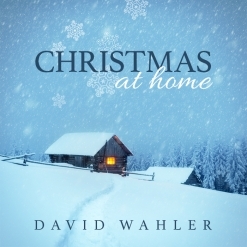 The music is Wahler’s musical interpretation of peace, serenity and calm, and there is no way that this music will not have a positive effect on the listener. I don’t recommend listening to it while driving or to wake up to, but for letting down from a busy day and letting go of stress, as well as the recommended uses (below), I recommend it very highly! 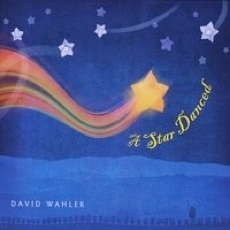 David Wahler started his musical career at the age of seven, playing the piano “by ear.” He went on to study piano performance at Lawrence University Conservatory of Music in Wisconsin and Mannes College of Music in New York as well as Electronic Music Production at Berklee College of Music in Boston. He released his first album, Antiquus, in 2009, and it became one of my Favorites for the year. It was also nominated for four Zone Music Awards and won for “Best New Artist.” A Star Danced was released the following year, was a Favorite on MainlyPiano.com for 2010, and was awarded “Best Meditation and Relaxation Album for 2010” by ZMR. Spiritus (2015) ranked seventh on ZMR’s “Top 100 Most Played Albums of 2015,” so, David Wahler has quite a bit to live up to with his new release - and succeeds very well! Becoming Bliss is music that was created with specific purposes in mind - massage, Reiki, acupuncture, biofeedback, breathwork, reflexology, relaxation, mood elevation, etc. It is sublimely ethereal and ambient, mastered to perfection by Bryan Carrigan. Even the cover artwork by Matt Strieby (New Leaf Design) is stellar. There are nature sounds as well as the electronic instrumentation to create a peaceful atmosphere of warmth and a perfect calm. The music is beyond beautiful, so if you need a place to escape to from time to time, Becoming Bliss should do the trick with grace and ease. 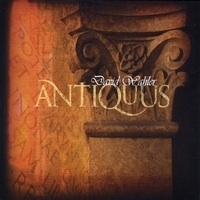 It is available from DavidWahler.com, Amazon, iTunes, and CD Baby.